We offer new build apartments for sale in a beautiful area near the sea and beaches of Lo Pagan. 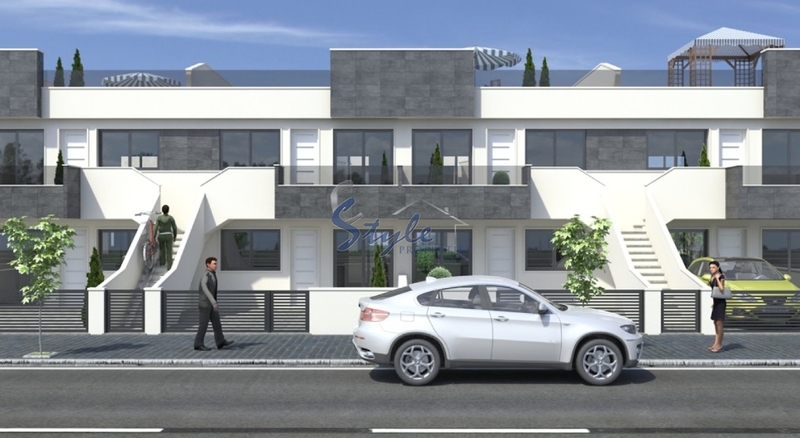 The apartments have 2 or 3 bedrooms, 2 bathrooms, large terrace, living room, kitchen. The building has only 2 floors. Each ground floor apartment have its own plot, the second floor apartments with a solarium. The residential complex has a large communal pool. The nearest sandy beach is only 700 meters away. Also nearby you will find shops, supermarkets, restaurants, banks and much more. In 15-20 minutes drive you will reach the international airport of San Javier and big cultural and historical centres such as Murcia and Cartagena.